Urban Waters Federal Partnership Endorses Grand Rapids Whitewater - Founders Brewing Co.
Posted on May 13, 2013 by Founders Brewing Co. The U.S. Environmental Protection Agency, in partnership with the White House Council on Environmental Quality, the U.S. Department of Agriculture, and the U.S. Department of the Interior has announced that the Urban Waters Federal Partnership is including the Grand River is one of 11 new locations that they’ve pinpointed to restore waterways, help local economies, create jobs and protect Americans’ health. 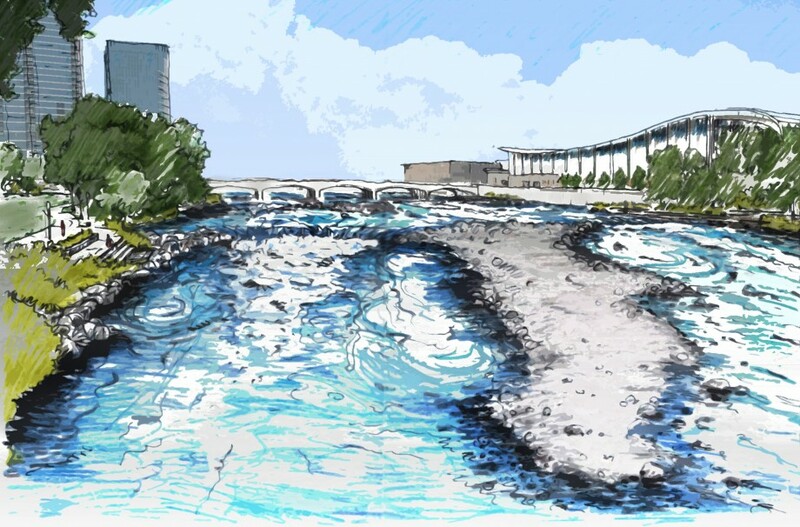 Essentially, the Urban Waters Federal Partnership is a group of 12 federal agencies that coordinate and pull together local bodies to help projects like Grand Rapids Whitewater come to fruition. Grand Rapids Whitewater (GRWW) is a project that is near and dear to our hearts that is looking to restore the Rapids to the Grand (River). We’ve kept you up-to-date on the project’s progress and have donated proceeds from special release tickets sold for our on-site releases to the cause. This is a project that will create neighborhoods, that will bring businesses and people downtown, and that will connect the city of Grand Rapids around the Grand River, which is why this city was founded in the first place. As GRWW co-founder Chris Muller says, “When someone says, ‘Grand Rapids…but where are the rapids?’ I’d love to point at something.” We would, too, and that’s why our co-founders and business partners have been behind this cause from day 1, donating the seed money to get the program off the ground. 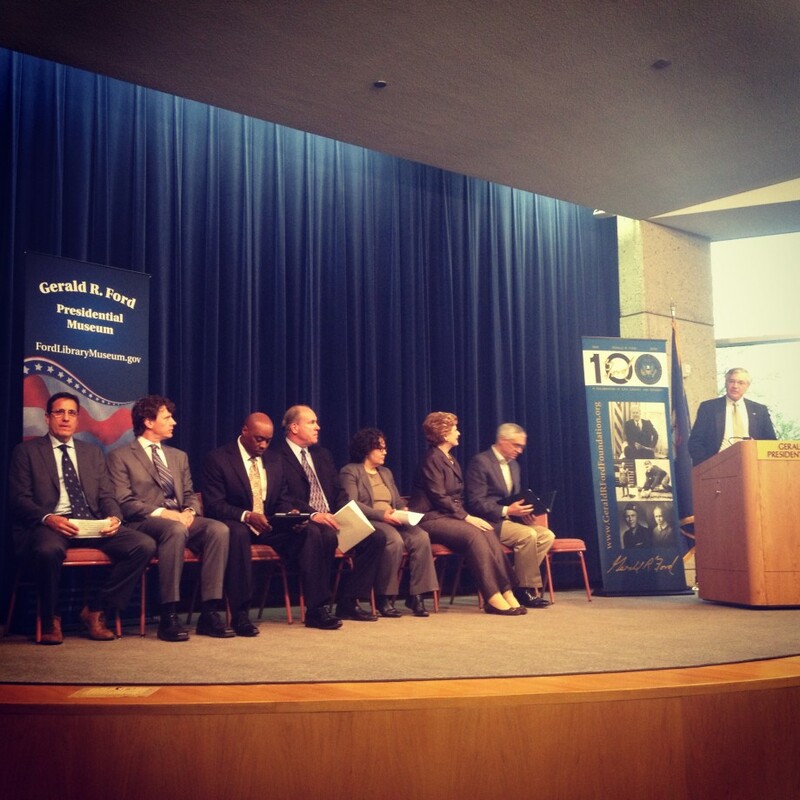 The federal announcement in support of this project took place at 2:30 p.m. on Friday, May 10, at the Gerald R. Ford Presidential Museum in Grand Rapids. In attendance were the chair of the White House Council on Environmental Quality, the acting administrator of the U.S. Environmental Protection Agency, U.S. Sen. Debbie Stabenow and officials from the U.S. departments of Interior and Agriculture(see photo above). Delaware River Basin (Cooper River) that covers Philadelphia, Camden, N.J., Chester, Pa., and Wilmington, Del. Grand River in Grand Rapids, Mich.
Martin Pena Canal in San Juan, P.R. Middle Blue River in Kansas City, Mo. Middle Rio Grande in Albuquerque, N.M.
Passaic River in Passaic, N.J. Check out this announcement in the Wall Street Journal for more information.